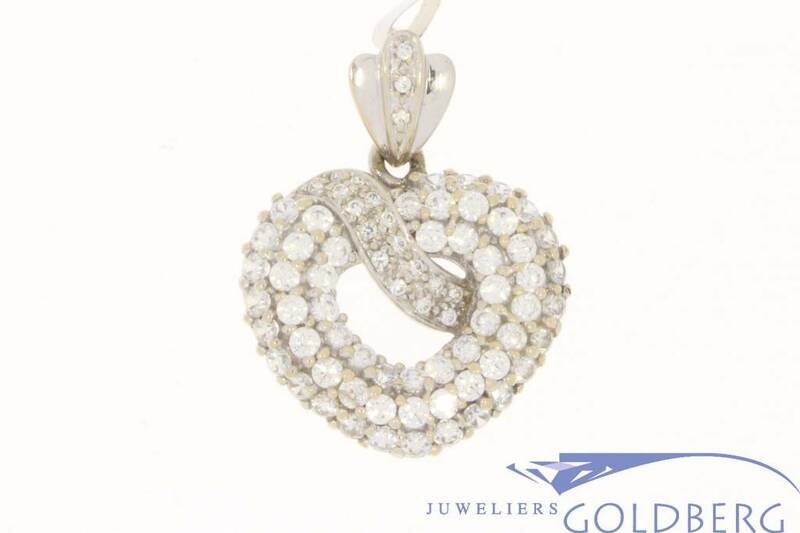 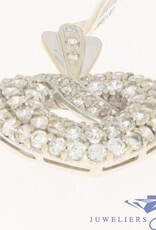 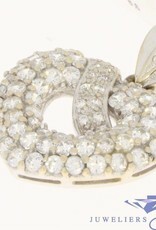 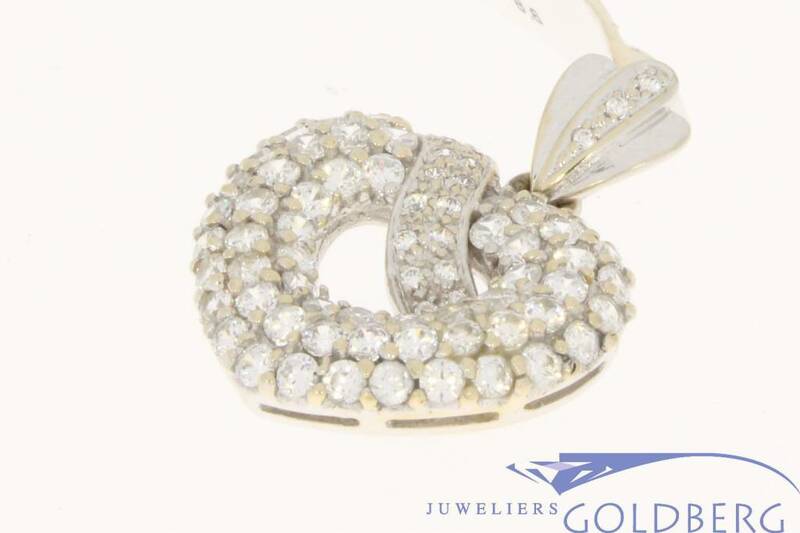 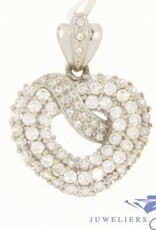 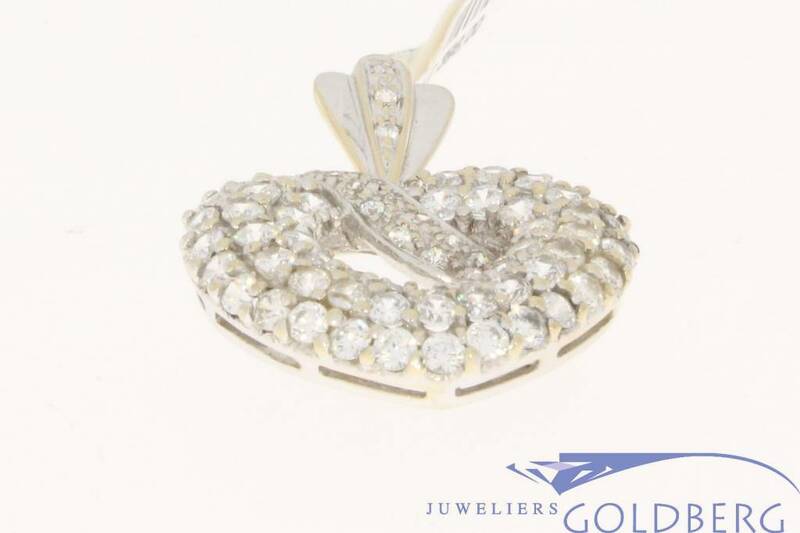 Gorgeous and spectacular 14 carat white gold vintage pendant. 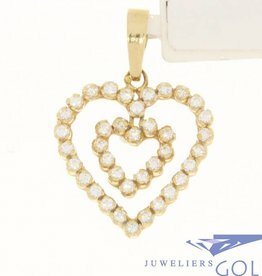 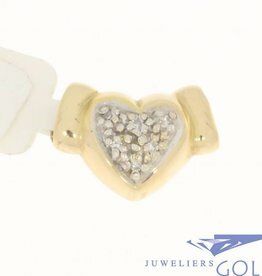 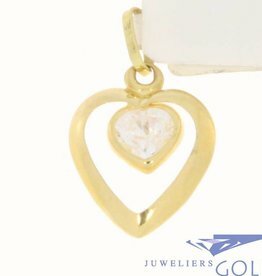 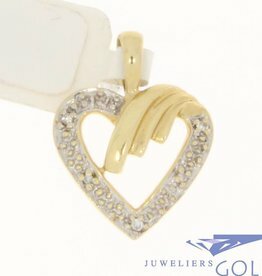 The pendant seems to be slightly heart shaped, and is embedded and decorated with many zirconia's of varying sizes. 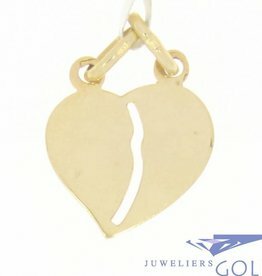 The pendant has an opening in the middle and is hollow from the rear. 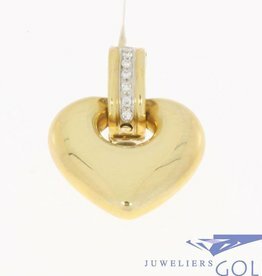 The length of the entire pendant (including the eye, which also contains 3 zirconia) is 32.5 mm and the diameter of the eye itself is 4 mm. 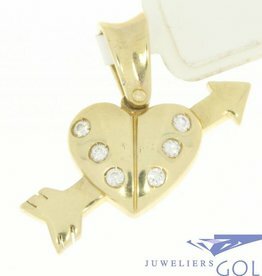 The width of the pendant is 24.9 mm and the weight is 8.6 grams.